With the emphasis in recent golf design on building bigger and flashier, it's a welcome change to experience a place like Cedarhurst Golf Club. 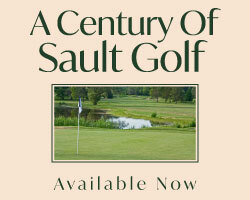 Located just south of Beaverton on the south shores of Lake Simcoe, this old-world layout dates back to 1922. Stanley Thompson created the front nine, which remains in its original state. 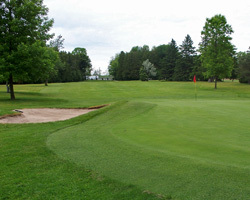 Bert Turcotte designed the back nine, which opened in 1964. When arriving, you will notice that the historic roots of the club are very much valued. The modest clubhouse and proshop facilities provide you with all that you need plus a huge dose of quaint and charm. A walk through the clubhouse gives you a warm, cottage lodge feel, coming in particular from the massive stone fireplace adorned with all the club trophies and plaques. Cedarhurst's own "Claret Jug" is proudly displayed. If only these walls could talk! Stanley Thompson's front nine is relatively short by today's standards, but tree-lined with small tricky greens characteristic of his era. Steps from the clubhouse you are presented with the opening shot, a mid-length par four with a creek to cross at 240 yards. There's nothing like a tough decision out of the gate. The third hole is a par three beast, playing 243 yard into a well protected green. Par here feels like a bird for sure. This routing finishes with a cute par four coupled with a tricky green, surrounded by, fittingly, huge overhanging cedars. The back nine holes open with a brute playing 433 yards with a creek to carry at 250 and tightly- packed cedars on both sides of the fairway. After this, the course opens up and gets a bit more forgiving for those with a loose swing off the tee. This addition to the original front layout plays longer with every hole playing as a dogleg off the tee. It forces you to shape the ball or layup to the reachable bends of the doglegs to stay in play. 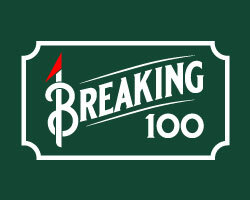 Don't short-side yourself on these corners or par will be tough to accomplish. 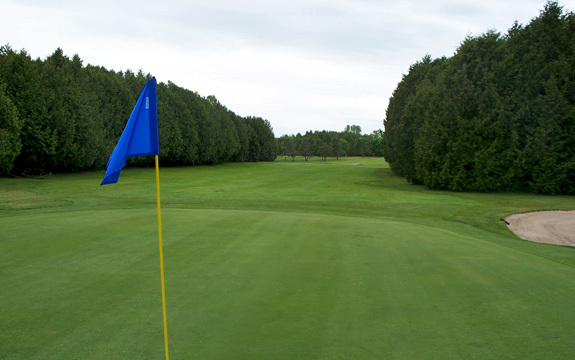 For those looking to work on your game, Cedarhurst boasts a great practice facility, with full-sized range, greens and even a practice hole to work out the kinks before or after your round. This is a very walker friendly course and best enjoyed by foot, but for those inclined to ride, carts are available. 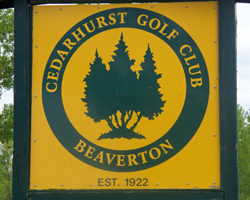 Cedarhurst is a step back in time, fortunate enough to have a membership that is active in celebrating and preserving the rich history associated with facility. With its strong sense of the past and tremendous pride in the club, guests are treated like part of the family. The nine and 18-hole rates of $29 to $56 are a terrific value when you are treated to a piece of history and charmed by the experience.